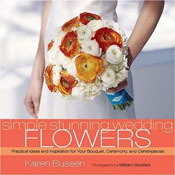 KAREN BUSSEN has been a leader in the celebration sphere for more than a decade. Her well-edited perspective and breadth of expertise have led to collaborations with celebrity chefs, media moguls, design institutions, and luminaries of business and Hollywood. Her editorial work and art direction has appeared online and in countless publications, including her own series of books. 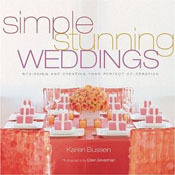 KAREN is the author of the popular Simple Stunning series of books (Stewart Tabori & Chang), including the Simple Stunning Wedding Organizer and Simple Stunning Parties at Home. She has blogged and written for numerous clients and strategic partnerships, and she publishes short stories for fun here. She is represented by the David Black Literary Agency and is currently working on her first novel. Before opening her own business, KAREN worked for years in the New York City restaurant industry, cutting her teeth at hospitality giant Danny Meyer’s original eatery, Union Square Cafe, and opening a restaurant—the legendary Follonico, a food insider’s favorite—with chef Alan Tardi. Karen holds an Advanced Certificate in Wines and Spirits from the prestigious WSET and has been a featured expert for entertaining articles and segments in numerous media outlets, including the Today Show, Parade, CBS Sunday Morning, and many others. A self-taught master florist and party designer, Karen has spent years in the New York City flower market working with top purveyors and resources. With a breadth of expertise spanning food, wine, design, etiquette, communications, and hospitality, KAREN BUSSEN is a sought-after partner. She has worked with international companies as a design and style consultant, and has partnered to promote a range of products, including wines, spirits, and food ingredients. She is fluent in French and conversant in Spanish. 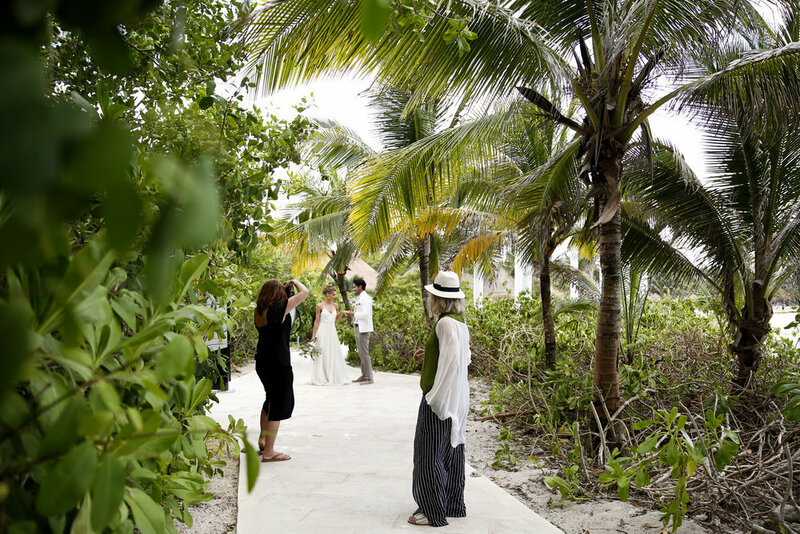 Since 2011, Karen has partnered with Palladium Hotels and Resorts, a Spanish-based global hospitality brand, to develop and implement a wildly successful and expanding Destination Weddings program at their properties in Jamaica, the Dominican Republic, and Mexico. Karen is the brand’s exclusive designer and consultant. The project has included creating client-facing products and experiences in the Weddings and Romance spheres, along with building internal business infrastructures, creating procedures, marketing materials and sales training methods to support the complete Weddings by Palladium program.